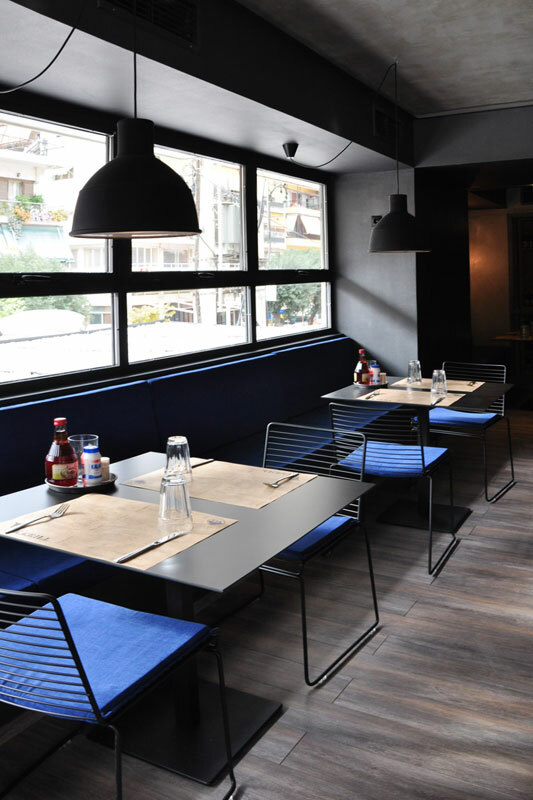 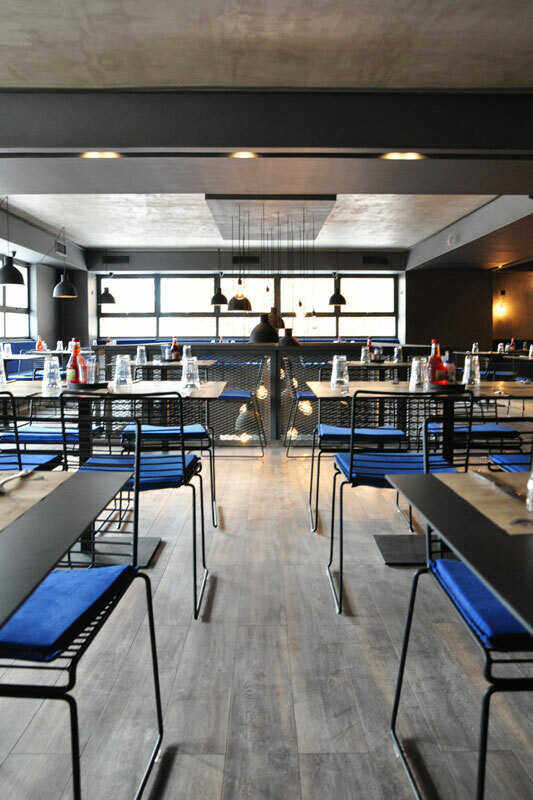 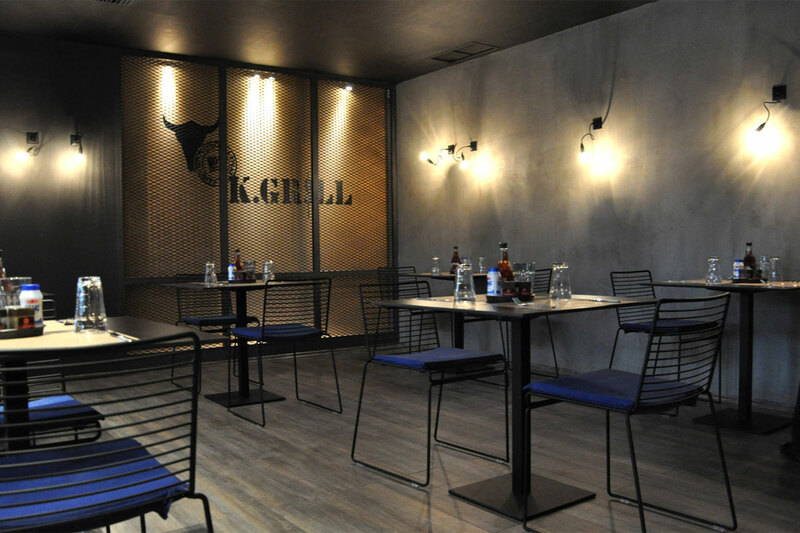 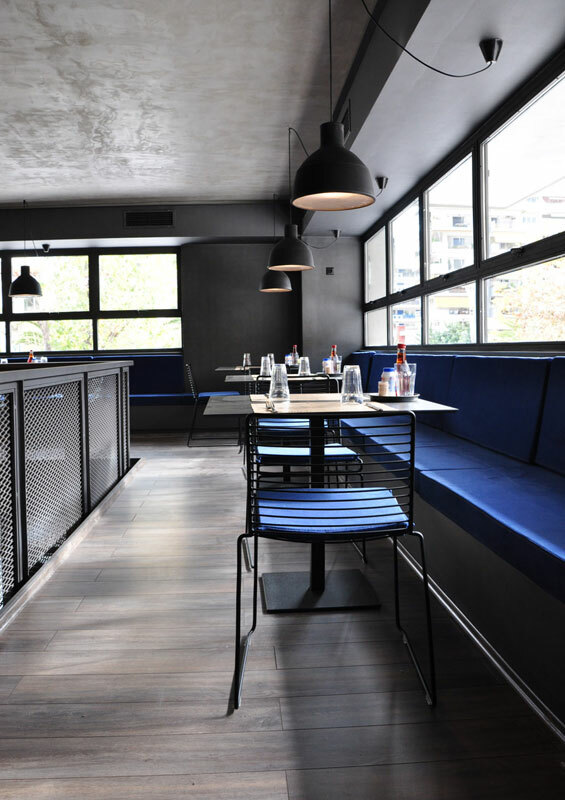 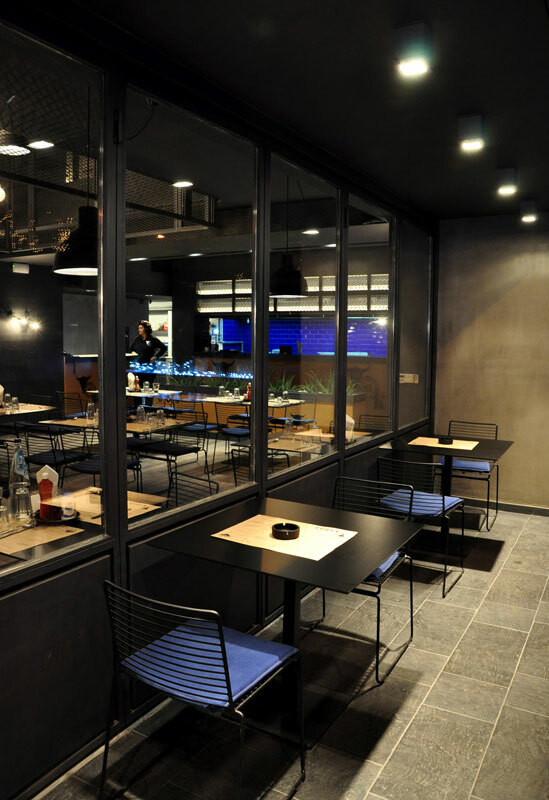 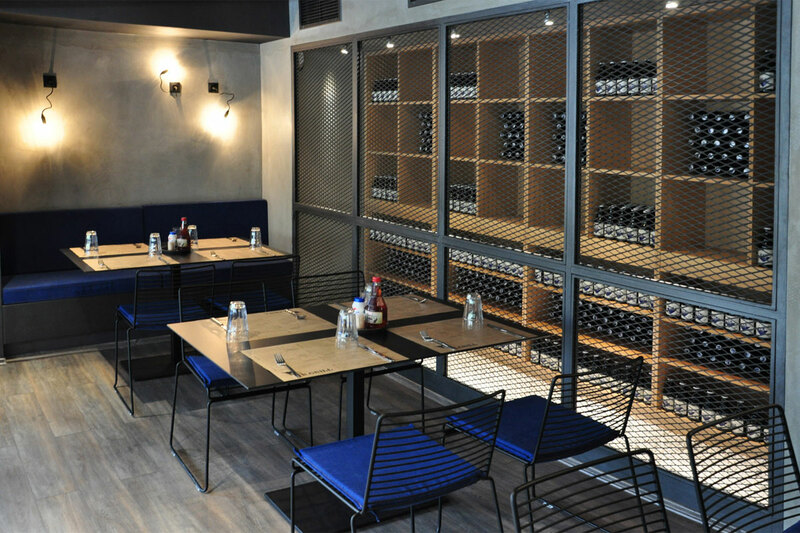 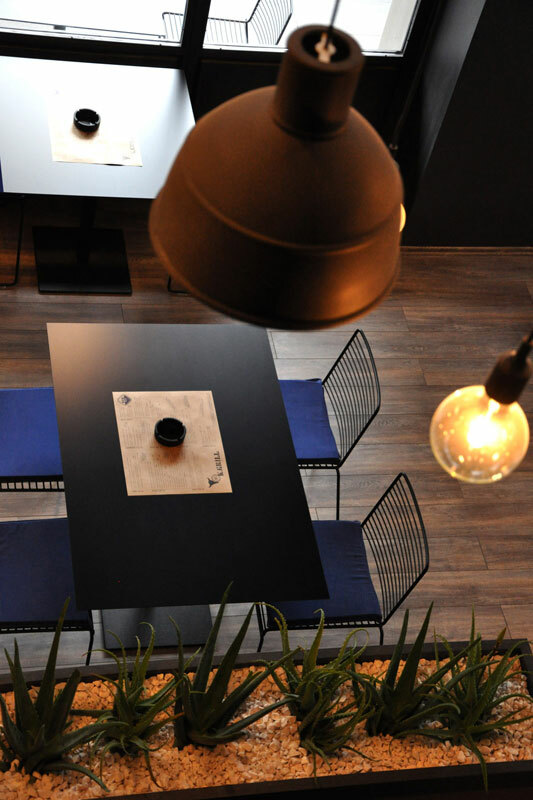 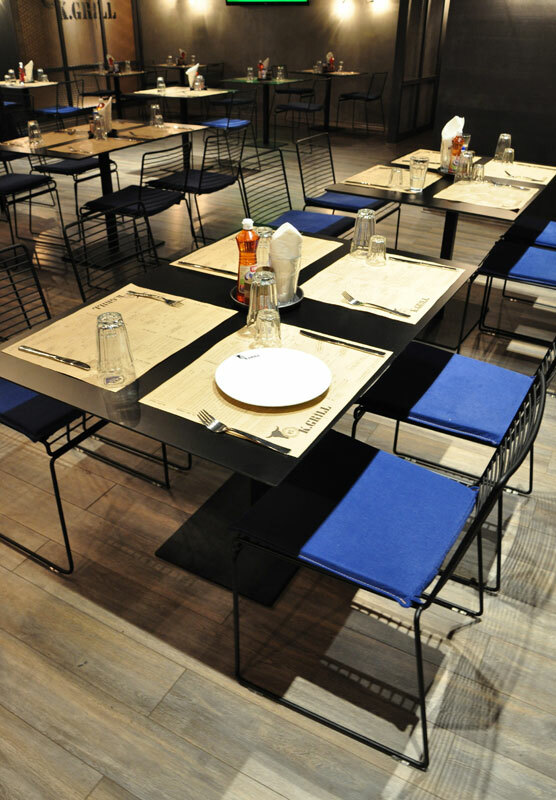 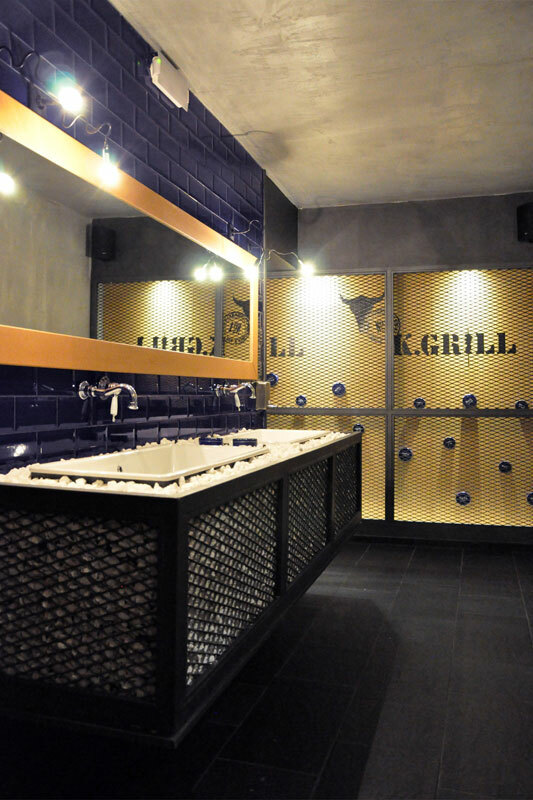 K.Grill is a spacious, two level restaurant with an open area for summer, serving fresh grilled meat and the old time classic “souvlaki” and “kalamaki”. 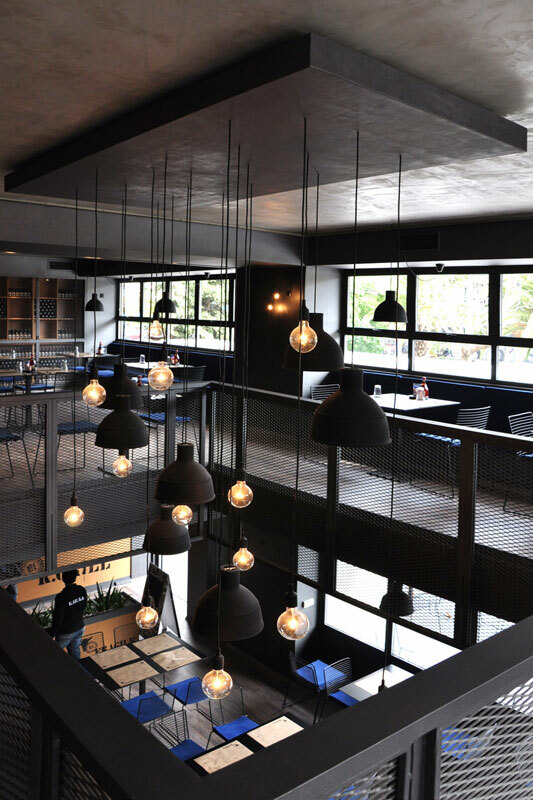 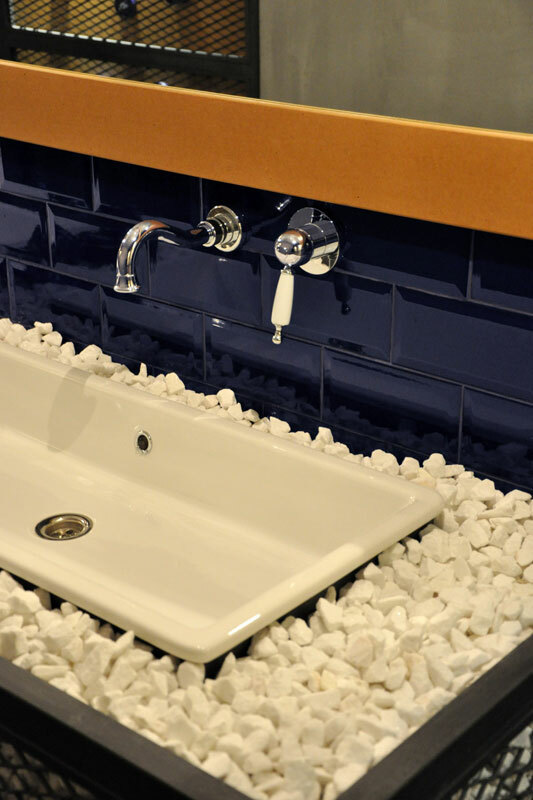 It’s the result of a successful partnership of an architect, Irene Rousaki from Olive3 and an interior & graphic designer Theano Potamianos from visualbytes. 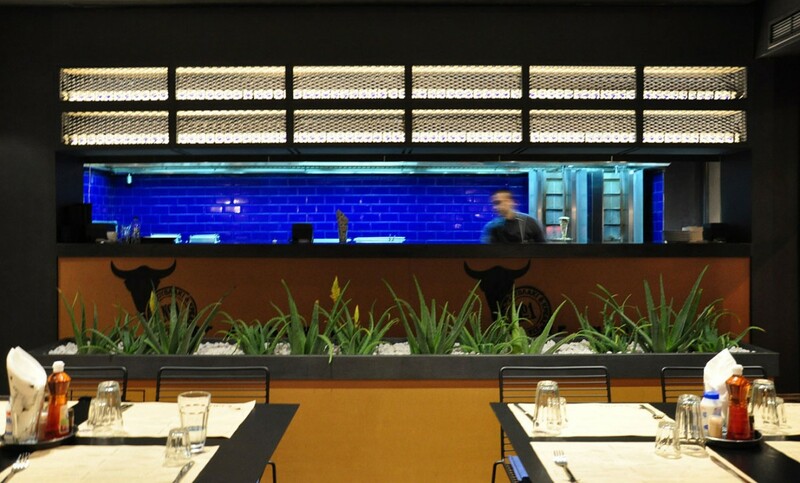 The main concern was to address the traditional Greek food subject from a casual and progressive point of view. 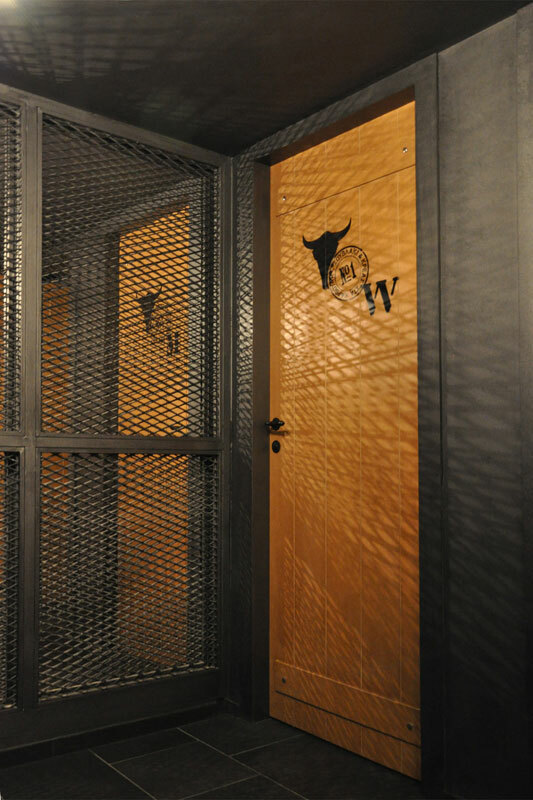 The brand identity was based upon a warehouse and barn atmosphere, involving the use of rough materials (such as cement, old wood planks and iron meshes), as well as meat relevant graphics (a bull’s head outline and meat stamps). 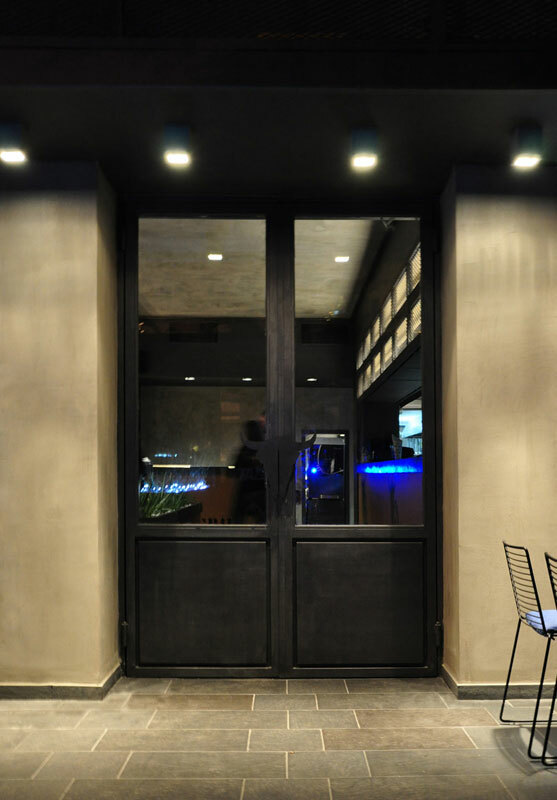 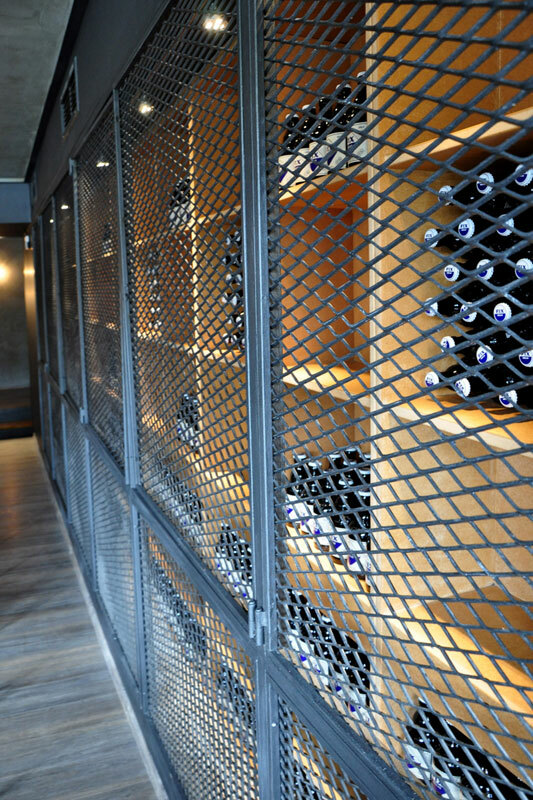 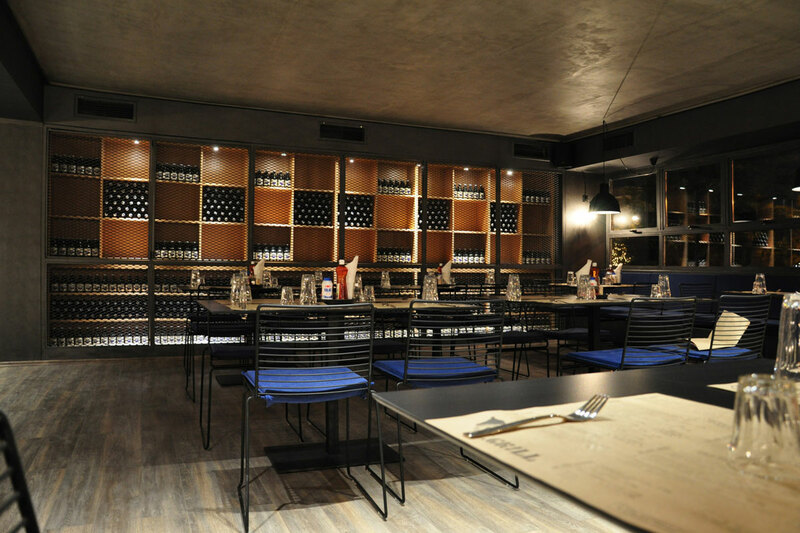 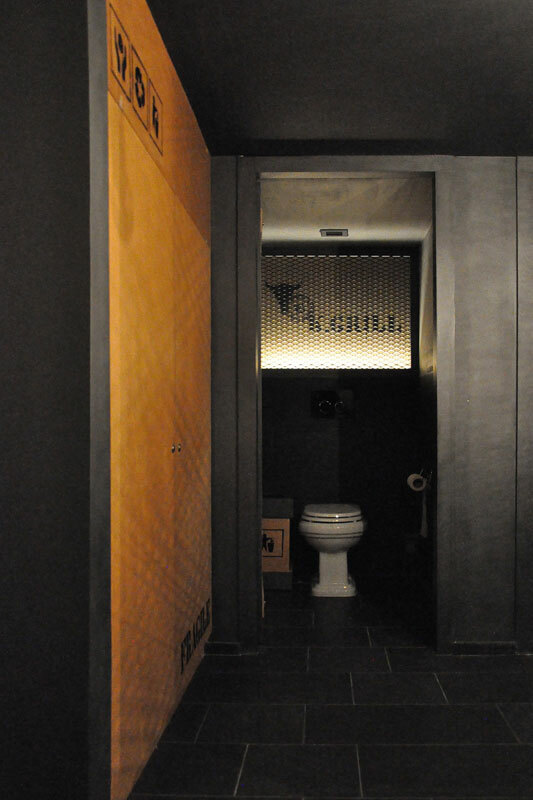 The open charcoal grill with the hanging illuminated beer cellar welcomes guests right after their entrance. 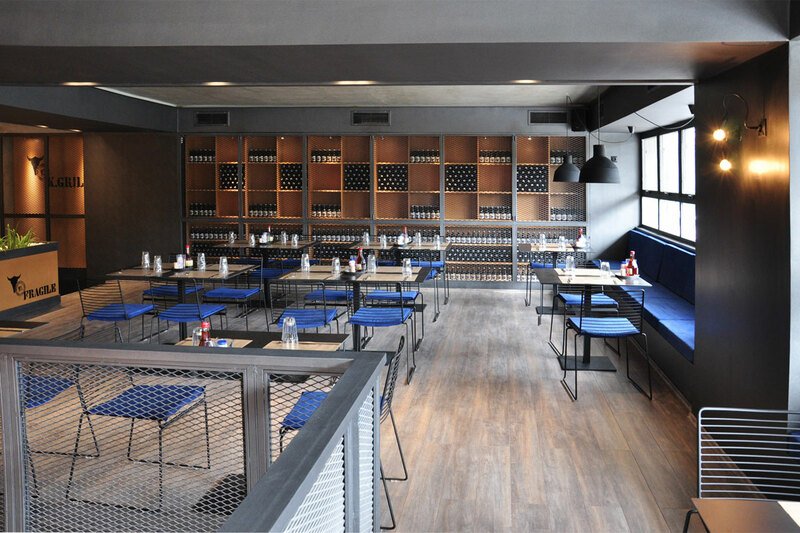 Two more black metal mesh-made beer cellars were built in the upper level, where a series of denim covered sofas set a more relaxed mood. 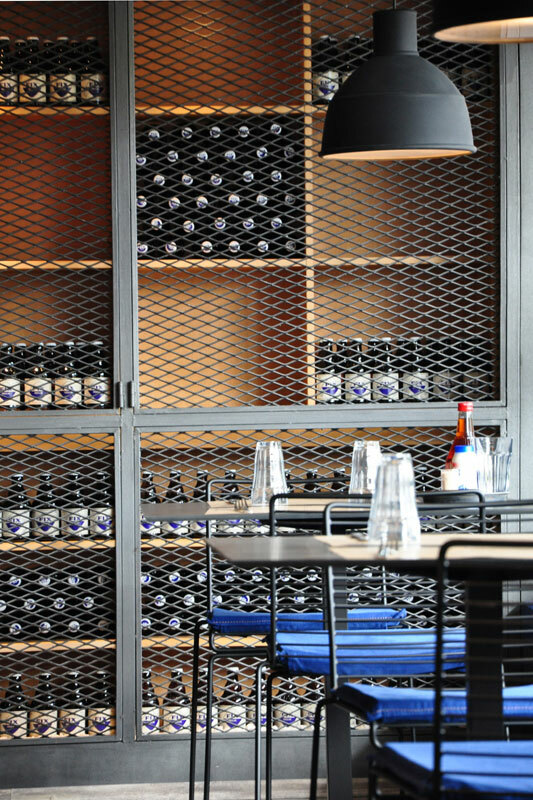 A synthesis of Muuto lamp fixtures oversees the lower level through a mesh defined opening and provides a theatrical element of illumination in the heart of the restaurant. 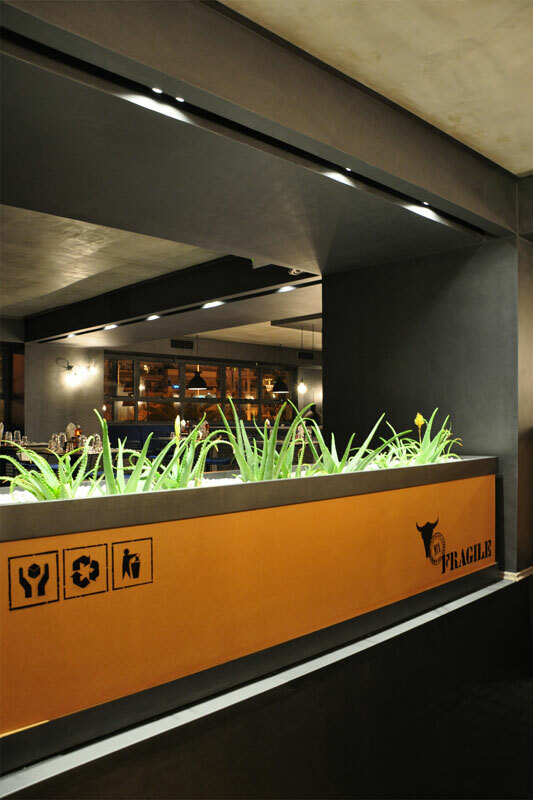 The cardboard signs and stenciled logos on the untreated mdf wooden panels, doors and furniture add a subtle touch of informality to the otherwise strict architectural shell.